Add a vibrant burst of color to your wardrobe with this baby pink colored lehenga choli. This red silk lehenga choli with heavy embroidery and hand stone work all over. It is paired with a baby pink net embroidered work dupatta with lace border. Specially designed to wear in weddings, functions, engagements, ceremonies and special occasions. Teaming this dress with golden jewelry and high heels that would be an added attraction. 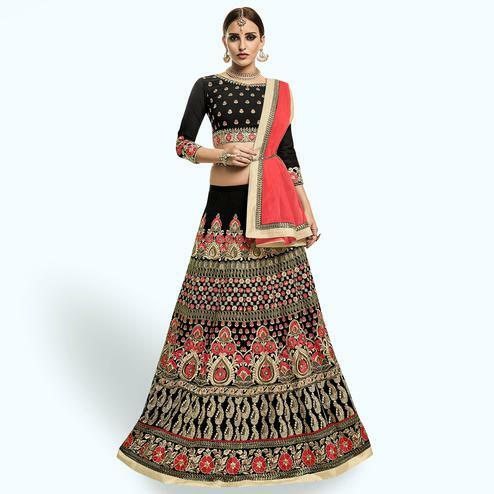 Buy this beautiful lehenga choli now.